OK so what we need to go here is links to the different pages. In the forms of statements and questions. Since this is never going to be a major page then it is probably good to have links to other key pages as well. e.g. Guy is often asked to perform at numerous different types of events over the year but there are some dates which are always very popular. These are listed below. If you’re planning a special lunch whether it is at home or at a hotel then adding some magic for all your guests can help to add something extra to the occasion. 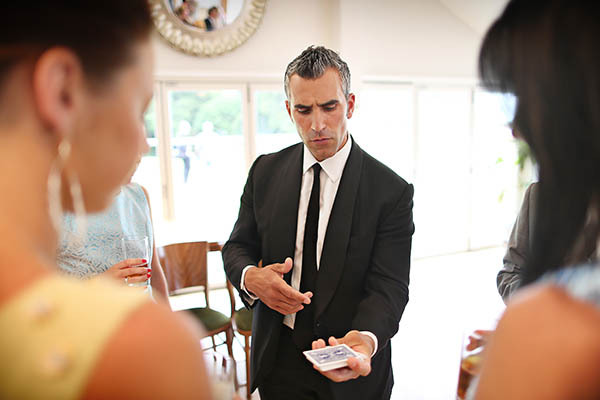 Guy can perform table magic or mix and mingle close up magic before or after the meal. Halloween night is a perfect excuse to add some magic to your evening. Magic always has the ability to shock and amaze and certain routines can be created to be almost a little spooky to really freak out your guests. Contact Guy for more details. Guy is always very busy around this period with many types of parties being organised. This year (2012) Guy attended drinks parties, performing his close up magic but also big sit down occasions where he performed mainly table magic. Although Guy always offers a free showcase if required you can always catch Guy at certain wedding fayres he attends. Dates and venues where Guy will be performing will be displayed on his Off Beat Moments Blog. Or contact Guy for more details.